It’s official – Frank Hobbs certainly knows how to celebrate the winter season! What an amazing community we have. December 1st 2017 saw the hallways and gym at the school filled with smiles, chatter and laughter…it may have been rainy and cold outside, but our warm spirit certainly shone through…yet again! The children, staff and organizers really appreciate all the hard work that goes on behind the scenes – thank you to our Administration for opening up the school for this fun-filled evening, and a BIG thank you to our evening Custodian, Norm, for helping us to tidy up afterwards! And the icing on the cake? This year’s event raised $2,273 …way to go Frank Hobbers! So great to see our annual Winterfest so well attended – the kids enjoyed hanging out with their friends and soaking up the Frank Hobbs festive spirit. The gift wrappers were kept busy all night – thank you to everyone who was able to donate good to be re-sold and re-gifted…..a huge success! Bingo was another resounding success, with queues for seats in the library all evening – a packed station. Thank you to the volunteers who staffed all of the stations including this one….we couldn’t have Winterfest without you! …and of course a HUGE thank you to our Mount Doug volunteers….you rock! A special thanks to ‘Finest at Sea’ for bringing their delicious food truck (apologies for the line up, as they did not know it was to be quite so popular….they will bring double the staff next year!) and to ‘Gatherings Photobooth’ (www.gatheringsphoto.com) for helping to capture some amazing lasting memories of the evening. Many thanks to over 30 dedicated parent volunteers, 30 talented parent bakers, 15 enthusiastic Mount Doug Leadership students and 3 generous local businesses for donating time and resources to help our school with another amazing Winterfest event! 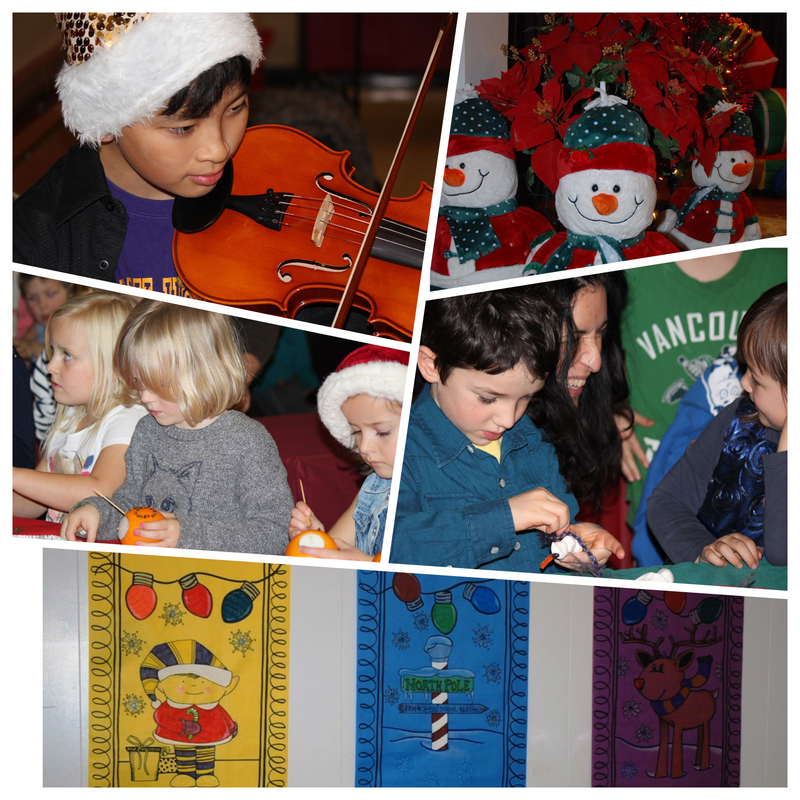 Ice fishing, bingo, crafts, presents to make and wrap….we hope everyone who came out had a great time. A special thank you to Peppers for their generous donation of over 150 oranges for Winterfest and also to The Dutch Bakery for their donation of delicious chocolate prizes for the games. Mount Doug students helped with the crafts and games…..here are a few helpers at the end of the evening – still helping with the clean up at 9pm – now that’s dedication! Thanks guys! Winterfest was so well attended that some of the craft supplies actually ran out! We had to use paper plates for the log candle craft for the second part of the evening. Next year we will plan additional supplies! What amazing support from our Frank Hobbs families…..and our thanks to everyone who was able to share the fun! Winterfest 2014 was really well supported and with the help of some really talented volunteers, the gymnasium was turned into a winter wonderland for the evening. We had over 50 generous parents (and grandparents!) donate baked delicious baked goods…the choice and quality of the baking was amazing. We added hot (organic) apple cider and hot chocolate to the range of refreshments that were on offer and we were fortunate to have the support of our local Crumsby’s café, providing locally-made evening meals to enjoy. Winterfest was really well attended and with the help of some very enthusiastic and energetic parents, we were able to add some ‘new’ games to the activities on offer for the children. Bingo was another resounding success and our students can now say they have tried out indoor ice fishing and ice skating….a new experience for many! Our thanks also to a group of very capable leadership students from our local Mount Doug school for supporting this event, Emma, Melody, Siya, Alexis, Armelle, Sharon, Harry, Reed, Vendela and Judy! These Mount Doug helpers looked after the refreshments stand, one of the games areas and also helped with numerous craft projects on the evening….nice job guys! We were also lucky enough to have three very talented musicians, Victor, Ella, and Meghan, who helped to set the scene with music in our entranceway. Two of these musicians actually attended Frank Hobbs in previous years – it was great to have that connection and to also see their musical talent flourish. A special thanks to the games and crafts coordinators and for the dedicated team of volunteers who worked tirelessly on preparing the decorations and beautiful crafts. It was apparent from the looks on the faces of our students (and parents!) that many special memories were taken away from the evening. Thank you to everyone who was able to contribute to the evening, donate to the Mustard Seed or BCSPCA or who was able to join in with the fun. What a fantastic way to spread our amazing school community spirit. A big THANK YOU to Tricia Schadelee for an amazing amount of preparation work for Winterfest 2013. We had difficulty getting all the volunteers that were required, so instead of having the evening Winterfest, the children got to do the craft activities in the daytime at school. Thanks to the additional volunteers who were able to give Tricia a hand on the day, and also to the teaching staff that joined in (in some cases, even making their own Winter creations!). The children had a great time ‘getting crafty’ and it was great that everyone still got to benefit from a little ‘Winterfest’ magic. Thanks to the many volunteers (79 in total!) who helped to make the December 2012 event another resounding success. Children (and some grown ups too!) were busy making thier unique festive creations and the bingo corner was packed out again throughout the entire evening. There was an amazing array of yummy baked goods and the gymnasium was beautifully decorated. We saw the addition of some new crafts and also fun festive lighting; all created and then dismantled with lightening efficiency! 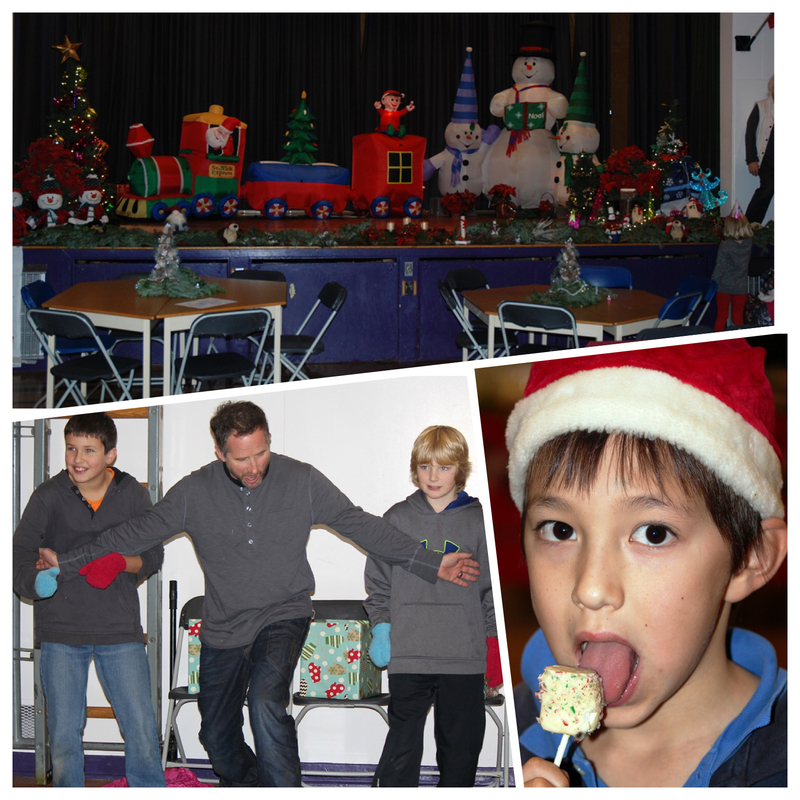 Comments such as “Winterfest is my most favourite thing at the school!” were overheard on the evening. It certainly looked as though everyone was having a lot of fun. Thanks again to everyone who was able to come along or volunteered to help….we couldn’t do it without you!